Wallace Collins, 95, of Gray, passed away, Tuesday, April 9, 2019. Funeral services will be held Friday, April 12, 2019 at 2:00 PM at Elam Baptist Church with the Reverend Gary Thomas officiating. Burial to follow at Elam Memorial Gardens. The family will greet friends from 12:30 PM to 2:00 PM prior to the service at Elam Baptist Church. 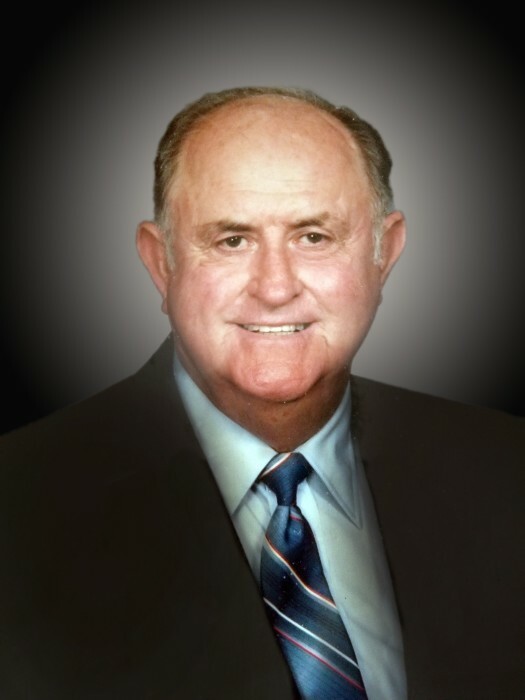 Mr. Collins was born in Cadwell, Georgia on September 29, 1923 to the late William Edward Collins and Verna Couey Collins. Mr. Collins served 30 years with the Macon Police Department retiring as a sergeant in the detective bureau. Mr. Collins was preceded in death by his brothers, Murrel, Louis and Donald Collins. Mr. Collins is survived by his wife of 67 years, Betty Melba Martin Collins; daughters, Diane McAlpin (Steve) and Cheryl Walsh of Gray; grandchildren, Amy Walsh Williams (Gary) of Bolingbroke, Bradford Collins Walsh of Gray, Crystal Nicole Barker (J.P) of Suwanee, Brittany McAlpin of Gray; great-great grandchildren, Sam Lowe and Noah Walsh of Gray; nieces, Rita Felker and Beth Watson; and nephews, Steve Collins and Larry Collins. Hart’s Mortuary, Jones County Chapel, 307 Pecan Lane, Gray, GA 31032 has charge of arrangements.